Modern Drummer Festival 2010 download free. On May 22, 2010, the Modern Drummer Festival returned to the Memorial Auditorium at Montclair State University in Montclair, New Jersey. The lineup for the 2010 Festival featured world-class drumming artists of all styles: the aggressively complex attack of progressive star Chris Pennie (Coheed & Cambria, Dillinger Escape Plan), a stylistically diverse set from Nashville session master Shannon Forrest (Faith Hill, Brooks & Dunn, Rascal Flatts), the unstoppable groove of Shawn Pelton (Saturday Night Live Band, Brecker Bros., Bruce Springsteen) and his band House of Diablo, the cutting-edge stylings of breakbeat/jam-band/jazz master Adam Dietch (John Scofield, Lettuce), the amazing creativity of international drum star Benny Greb (3erGezimmeR, Strom and Wasser, Stoppok), and the classic funk of New Orleans master Stanton Moore (Galactic, Irma Thomas, Joss Stone) and his trio. At the 2010 Modern Drummer Festival, Daniel Glass (Royal Crown Revue) and Chris Coleman (Prince) presented master classes on a separate stage from the main festival. As an added bonus, these amazingly educational performances are also included. 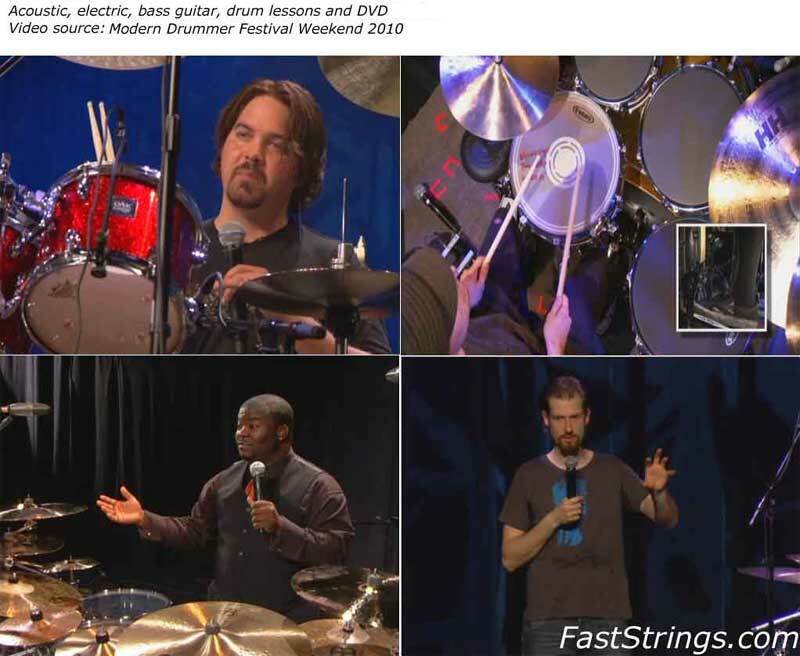 Also included is a printable PDF eBook containing transcriptions of select performances and other educational info.This MD 2010 DVD package is jammed with both great performances and tons of educational insight for drummers of all levels! Do not forget to watch Modern Drummer Festival 2011. Que el señor los guarde en su seno criaturas angelicales. thanks man … thanks thanks ..
muchas gracias desde buenos aires ! anybody have just the pdf??? I downloaded the vids long time a go but I don’t have the booklet, thanks!! !